View Poll Results: Helmets? Full Face, ½, or Skull Cap? yeah around here in Tenn there's a certain window from spring to fall at around dusk or dawn, mainly dusk, where bugs are horrible if you're riding at that time. me and my riding buddies call it bug thirty. a short 30 mile trip and my face shield is covered. it's really not even that bad at night but it's horrible if you just happen to be caught at those times. and it's not that bad when you're riding in town either. but out in the country on these back roads will leave a fuzzy layer of wings and body parts on your face shield. probably not as thick as love bugs but it's damn near all riding season (if you don't ride in the winter) if you're out at that certain time of dusk and dawn. 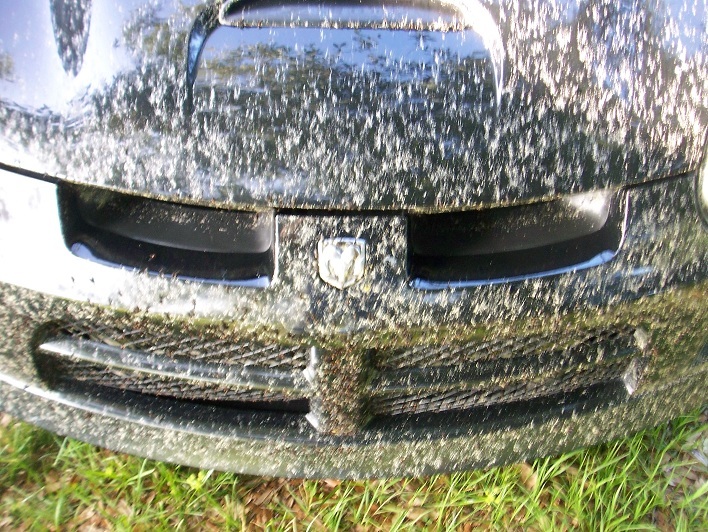 During love bug season in Florida you have to clean the shield every time you stop for gas. Sometimes you have to make a special stop to clean them off. They get so thick you can't see. There are no hot, wet towels around when they need cleaning. Wet towel might work for a few bugs, but love bugs don't come in fews. Love bugs don't bite or sting. They are fairly harmless. They just swarm 2 or 3 time a year, usually in late spring and early fall. They get splattered on the front of any vehicles moving along. They will be dried on the vehicle before you can get them off. You have to soak them to get them to come off. They seem to be attracted to gasoline or diesel fumes. They swarm all along the highways. They will swarm all over a stationary engine and are really bad around gas stations. They are not dangerous or anything, just really annoying. You get used to them. btw i just found these videos of the history of helmet design on youtube. while one focuses mainly on f1 most of it also applies to motorcycle helmets as well. i think both videos are done pretty well, one ais a little cheekier than the other but still good. Some very unseasonal weather in Lancashire, dry, sunny & double figures! Got my first bug splat of the year yesterday! Double figures here too. 10. No sign of any bugs here! On,y thing that bites here is frost.